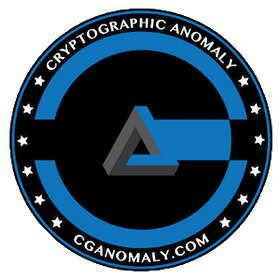 Live Cryptographic Anomaly prices from all markets and CGA coin market Capitalization. Stay up to date with the latest Cryptographic Anomaly price movements and discussion. Check out our snapshot charts and see when there is an opportunity to buy or sell Cryptographic Anomaly. Cryptographic Anomaly is a modified clone of Litecoin. CGA uses a unique block reward algorithm that has a 25% probablity of creating an extra block reward of 1 coin , this anomaly is the inspiration for the coin's name.